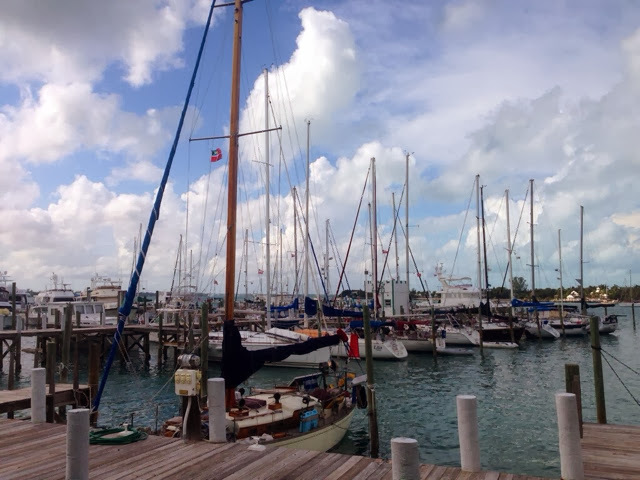 Once we got the weather window to leave the Berrys, we headed back up to the Abaco Islands. We are at Marsh Harbor now and probably going to stay here for a couple weeks. It is a protected harbor from all sides with lots and lots of short day sails to islands near by. The hardest part of being in the Berry's was that there wasn't anywhere to escape. We just had to wait because all of the anchorages near us were in less than 5 feet of water. Arg. We had a pretty gnarly crossing from the Berry Islands to the Abacos. If you are friends with Matt on Facebook then you already know that a lot of things went wrong on the passage. It was about 100 miles at the end of the day and felt like an eternity. Something is wrong with our steering gear which is making turning left very difficult. This caused our autopilot to stop working which meant hand steering the whole time. Also our stern bearing housing separated from boat where it meets the packing box. This caused water to stream into the bilge at a steady pace. Our automatical bilge pump decided not to work automatically sometime in the middle of the trip and our floor boards started floating ever two hours or so. We arrived to the reef outside Marsh Harbor in the middle of the night and couldn't enter until day break. Many of the inlets around here are not properly charted and they say "VPR" on the chart (visual pilotage rules) which basically means don't f-ing try to come in here at night unless you are stupid and wanna hit the reef. Which we did not. So we heaved-to to wait for day break. While we were waiting outside the reef our main sail ripped from leach to luff. We drifted another 12 miles offshore waiting for the sun. Then the squalls came. There was biblical rainfall. It was like buckets of water being thrown at our faces for hours. 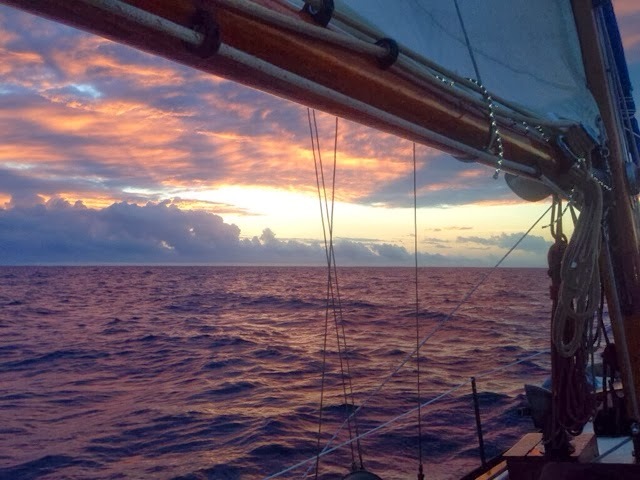 Once the sun came up we had to motor directly upwind into huge waves for another 4 hours. It was not fun. Long story short, I'm happy to be here in a cruiser's hub. Marsh Harbor is easy. There are a lot of boats and other cruisers here. A bunch of tiki bars and good holding in the anchorage. Gonna stay here for a bit to get repairs done and restock. Hope you get it all sorted out! At least you're in a great place to tackle it with lots of beautiful islands around!